Microsoft's Silverlight 3 is launched today, with the Flash challenger hitting the internet ahead of its official debut. The main advance is its support for multi-touch input, but there's plenty of HD advancements, too. 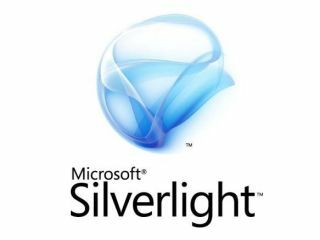 Silverlight is Microsoft's Rich Internet Application, and a direct competitor to the ubiquitous Flash from Adobe. The tech is becoming more widely used in web applications such as the ITV Player, where it powers the video streams. Available to download now, Silverlight 3 is available for Internet Explorer 6 to 8, Firefox 2 and 3 and Safari 3 and 4. There is currently no support for Opera or Google Chrome. The third incarnation of the application adds GPU hardware acceleration support to power full screen HD streaming. Smooth Streaming enables you to jump through HD video quickly with the ability to pause and rewind. H.264, AAC and MPEG-4 is supported. Silverlight will be a key part of the online Office – Office Web Applications, which is soon to be released for testing and will offer Microsoft's 'cloud' answer to Google Apps. Microsoft holds its Worldwide Partner Conference next week in New Orleans. Other things to look out for include deep zoom, skinning and styling as well as belatedly adding support for mousewheel scrolling. There are also more analytics tools, so developers can look more deeply into how their applications are performing.